Despite what it sounds like, a portyanki isn't a monster from Dungeons & Dragons. It's actually the Russian name for "foot wrappings", and they were commonly used by the armies of many nations through the 20th century in lieu of socks. * In fact, the Russian army wore portyanki up until 2013! A portyanka (that's the singular term) is simply a piece of cloth -- ideally rectangular and roughly 3 feet long by 1.3 feet wide, but square and triangular cloths will also work -- that is wrapped around a foot like a bandage and tied into place. It acts like a sock to cushion and insulate the foot, wicking away sweat and protecting against blisters. You might find yourself barefoot during a disaster, or your socks might become damaged or lost in a long-term SHTF scenario. 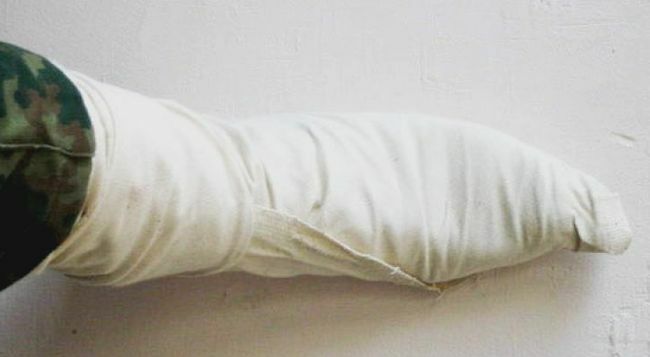 Socks can be difficult to replace or repair in that situation, but portyanki can be scrounged from fabric like sheets, pillowcases, t-shirts, and the like, and they will fit any size foot. Socks with holes in them aren't very good, but since portyanki are wrapped, a hole isn't that big of a deal; just turn the cloth over and re-wrap it to cover the hole. Wet socks aren't pleasant, either. 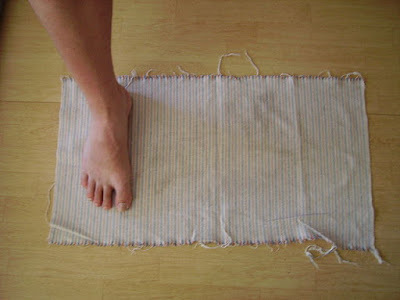 If you're wearing long enough portyanki (this is why I said the rectangular ones are better), you can take them off and re-wrap them so that the part which was wrapped around your shin (and are hopefully dry) can go around your foot, and the wet portion is now on the outside and higher on your leg where it can dry. Speaking of drying, because they are single pieces of cloth which lie flat, portyanki dry quickly in the air. Since the cloth is thinner than most socks, they are also easier to clean -- in fact, the standard Russian manner of cleaning portyanki was to boil them! Easy come, easy go. You didn't put a lot of effort into making them, so when they're worn and threadbare, you can throw them away without regret. Despite all these advantages, there are areas in which portyanki fall short. Socks are easily and quickly pulled on, but portyanki must be tied in a specific manner. It is possible to put them on quickly -- Russian soldiers were held to a standard of getting dressed in 45 seconds -- but that requires practice. Improperly tied portyanki will result in painful blisters! Make sure that all folds and wrinkles are smoothed out as part of the tying process. Summer portyanki can be made out of cotton (and if you're scrounging them, that's probably the material you'll use). Winter portanki were traditionally made out of flannel, although wool would be best. So how do you properly tie your portyanki? I'll provide you with a step-by-step procedure, but the easiest way to teach you is for you to see the process yourself. I've provided several videos of the process from different angles, in case a certain step isn't clear. If you only watch one of them, watch the first one. Some people like to have their feet parallel to the sides; others place theirs at an angle, with their heel near the corner. Experiment to find which style works best for you. Take the outside edge corner and wrap it over your toes, tucking it under the ball of your foot. Smooth out any wrinkles. Take the inside edge and wrap it over your entire foot and ankle, smoothing out any wrinkles. Make sure that the cloth stays taut around your heel and ankle. Continue the wrapping motion and go under your foot, stepping down again once the material is smoothly wrapped. Grasp both corners of the inside wrap and cross it, so that the front corner is in the back and the back corner is in the front. Wrap this portion around the upper ankle and shin. You will have one corner pointing up your leg and another behind your leg. Take the corner behind your leg and wrap it around to the front, tucking the loose end into the wrap you've made. Tuck the final corner down into the wrap. Congratulations, you've tied your first portyanka! Now you get to do it again for your other foot! * Prior to the 20th century, socks were considered luxury items that were only given to officers. A lot of prepper articles are written about first aid because injuries tend to happen with any situation that rises to the level of an emergency. First aid generally means treating injuries when professional medical help is not available to stop further damage and prevent loss of life, with the goal being to get the patient to better care as soon and as safely as possible. 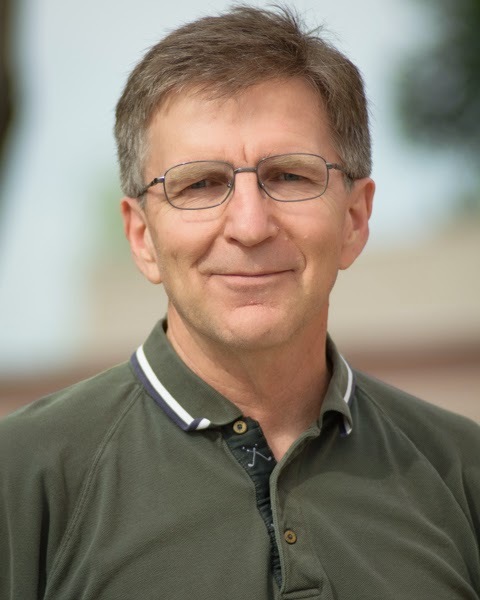 The patient is going to experience pain both before and after seeing a physician, and the field of treating pain is complicated and controversial, but there are secondary issues that we should all be ready to address. I'm learning to deal with chronic (long-term, unending) pain in someone I know. The day-to-day stress of having pain that won't go away has emotional and mental effects that drugs don't treat. Acute pain (short-term, may go away eventually) is normally the result of injuries and tends to be more unsettling to the patient because it is out of their normal experience. Both types of pain cause changes in the person suffering them that will affect how they deal with the world and people around them. Don't expect a person dealing with pain to act or react normally; you may have known them for years, but they can turn into a completely different person once they're in pain. Loss of appetite and weight. Plan your meals accordingly and do what you can to make sure they get the calories and nutrients that their bodies need, especially if they're healing. Fatigue and sleeplessness. Pain will interrupt their normal sleep cycles, which will prevent deep, restful sleep. This will eventually cause fatigue and the other effects of sleep deprivation. Decreased movement. The risks of pneumonia and blood clots rise with the lack of mobility caused by injury and pain. Internal movements will also be slowed down, so watch for constipation and fluid retention if they aren't eliminating wastes as they should. Diuretics and laxatives are a subject for a separate article. Weakened immune system. Dealing with the source of the pain will focus the body's attention away from general immune response, so watch for infections in areas that weren't injured. Stress. Pain causes a lot of different stresses on the body and mind, so expect anyone who is not a hard-core stoic to show signs of stress. Dealing with stress varies from person to person, so investigate the patient normally deals with stress and find ways for them to do it. Depression/anxiety/panic/fear. Chronic or acute, pain tends to kick us out of our comfort zones. From what I've experienced, the severity of the pain is less of a factor than the personality of the patient. Drugs can help with these effects, but they tend to cause problems of their own that you then have to deal with. A calm environment and slow, quiet movements may help reduce these effects by eliminating any new emotional stresses. Anger/resentment. This one I know well. Pain, especially chronic pain, tends to cause outbursts of anger and resentment over little things, and big things lead to full tirades and melt-downs. Patience, prayer, and a thick skin are your only defenses. Being able to take a break and letting someone else handle the person in pain will help with your mental state. Disconnection from other people. Pain centers the mind on itself, leading to a loss of concern for others and difficulty relating to them. This means more conflict and less enjoyment for everyone around. This can be really hard on a marriage or other long-term relationship. Humans have been dealing with pain longer than we've been able to talk, so it shouldn't be something arcane or mysterious. Our society has tried to ignore or sometimes punish those in pain for several centuries, which is so fundamentally wrong to my mind that I have a hard time grasping the concept. Most of the natural drugs we have stumbled across, even the discovery and development of things like alcohol and narcotics, have been in search of at least a temporary respite from the pains of life. The addictive properties of some of these drugs get blown out of proportion by those who think they know how to live our lives for us, and I'm sure some of that is based on their desire to control as much of the world as they can. Those of you who are young and healthy should enjoy life as much as you can and give thanks to whichever deity you prefer. As we age, we collect injuries and ailments that cause pain and this impacts our lives and the lives of those around us. Be aware of those impacts and take them into consideration when dealing with others. I always look for ways to add to and improve my preps, and while food is most important, right after are my first aid supplies. I have in my lunch box a very small first aid kit that has various band aids, triple antibiotic, and Tylenol. In a separate zip lock bag is Advil, aspirin, gauze pads and QuickClot. After an employee cut himself on some metal strapping this week, I decided it was time to look for a better way to carry more and better gear. I'm exploring several different options for keeping gear close to me (which means future blog posts on this subject), but this is my first step to improving things. This kit was mentioned by both Erin and myself in the $30 First Aid Kit Challenge prompted by this post from Chaplin Tim. I really like the fact that it is sealed in a very sturdy plastic(?) bag and also has a zip lock seal to close it up after you open it the first time. Erin and I both really like what is included. Since I really like this kit, it made sense to me to look at what else might be available from Adventure Medical Kits. The Pro is similar to the regular pack; however, it includes a SWAT-T tourniquet and loses some of the gauze pads. I'm good with trading some gauze for being able to stop serious bleeding. Stops Bleeding: The Advanced Clotting Sponge uses zeolite, a common mineral, to help blood clot up to three times faster than blood on its own. Critical First Aid Information: Instruction sheet with information on managing life-threatening and traumatic injuries. Made for Tactical First Response: Designed for fast deployment in critical situations; fits in BDU pocket. Personal Protection: Nitrile examination gloves plus biohazard disposal bag. A Tourniquet Anyone Can Safely Use! : The SWAT-T is easy for anyone to use without advanced training. Instructions are printed directly on the SWAT-T.
Luckily, the injury to the employee didn't require the use of a tourniquet, but I don't know when I may need one. The slight downside to the Trauma Pak Pro is everything isn't in a sealed package but in a woven pouch. All of the critical gear appears to be contained in waterproof and sterile packaging, so those items won't be ruined by water, but the pouch itself could get knocked around some in my lunch box. If worst comes to worst, I'll put it into a zip lock bag like I've done to my existing gear that could be ruined by water. Improvements to my gear come in tiny steps as I am able to afford it. If bleeding can be controlled, the chances of survival until expert medical care arrives is increased. 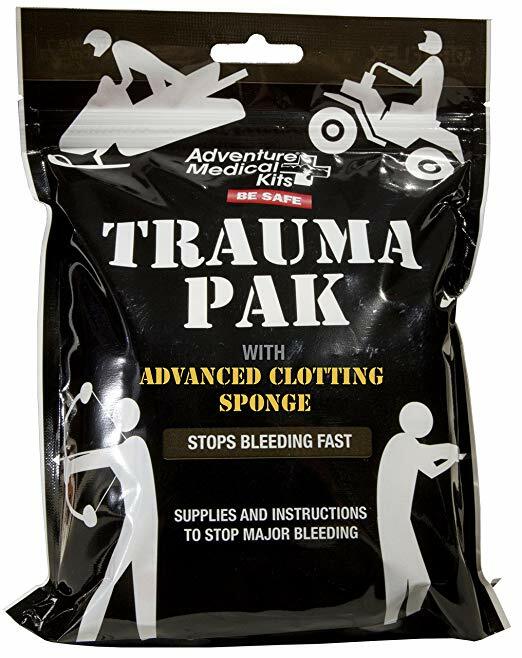 To be ordered: one Adventure Medical Trauma Pak Pro from Amazon, $39.53 with Prime. Using a dollar-store cheese grater to make tinder. It's after the apocalypse, and you've reached your bug out location and you're sitting around, waiting for the zombies to eat you. Your pork and beans deluxe (now without long pig!) is ready to eat straight out of the can. You get out your handy dandy P38 can opener and you open the can. Using your tactical spork, you dig in.. and realize that it would really taste better hot. You need a way to heat it up, so you quickly empty a can of freeze dried beef chunks into a gallon ziploc bag, and you make a stove using your handy dandy pocket knife. 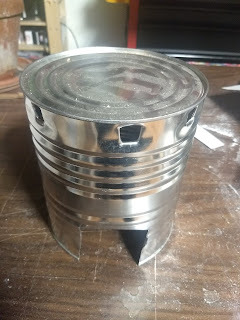 A #10 can stove (sometimes called a hobo stove) is a super easy to make emergency stove. All it requires is a #10 can (think coffee can) and a pocket knife. You can make it with all sorts of fancy features and tools, but at its core, all you need is a pocket knife and a can. If you want to make it easy on yourself and you have onet on hand, you can use a “church key” style can opener. Tin snips and a pair of pliers are useful, but not actually needed. 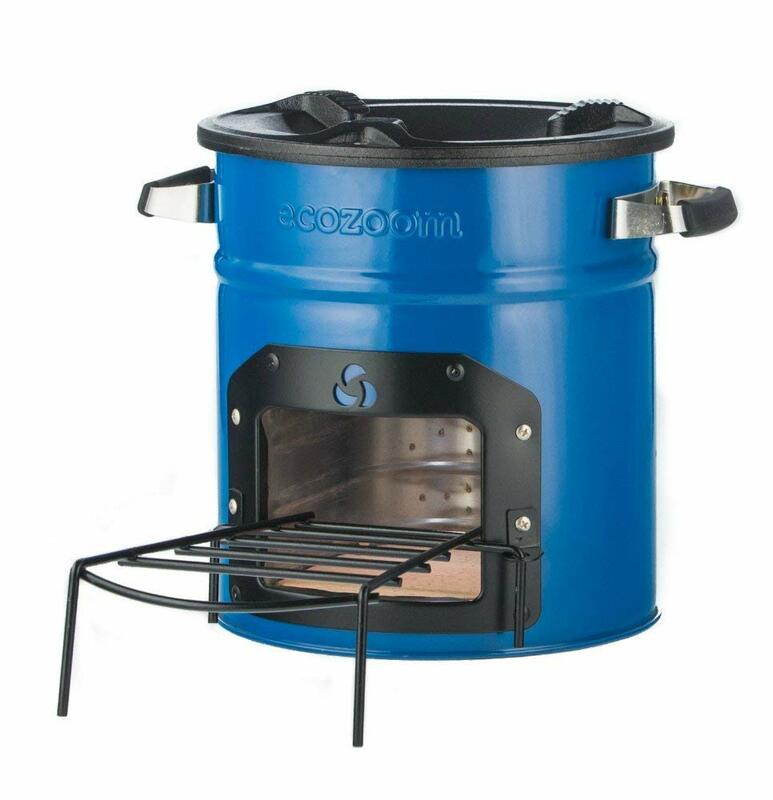 Note: This is not a number 10 rocket stove. That is a different thing. The can should have one open end (this will be the bottom) and one closed end (the top and cooking area). Place the open end on the ground. Use the can opener or pocket knife to cut holes below the closed top, evenly spaced along the sides. I prefer eight holes of about a half inch diameter each. If in doubt, cut fewer holes, since you can make more fairly easily. Don’t cut away the metal! If you need to, you can adjust the air flow by bending the metal back in. Using the pocket knife, score a spot on the can about one quarter of the way up from the open end (aka the bottom). Cut down from that spot to the open end. Repeat steps 4 and 5 at a distance of about 1/4 the height of the can between cuts. Fold the "flap" of metal out of the way. Place fuel into the stove using that hole. But why not just build a fire? In my experience a #10 can stove works just as well as an open fire, and it also keeps the fuel relatively dry and hot. 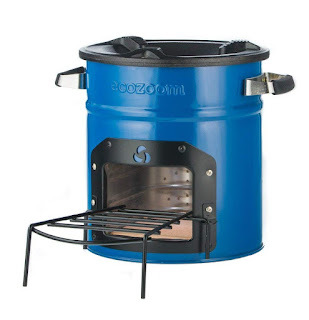 The can forms both a cooktop and a chimney, and allows you to burn a variety of fuels. I especially like it for burning things like fuel tabs with random brush piled on top when it is wet (or the brush is damp). It dries things off quickly, and keeps the fire manageable. In a pinch, you can even make these out of soup cans; they just have less capacity, and don’t get as hot. If you have made a couple of these, you can experiment with the chimney design so that it still flows well, but smokes less. I made one with nothing but a leatherman multitool, and it worked great. I had cooked eggs in about 10 minutes from a dead start with a cast-iron pan. As always, don’t forget to practice. 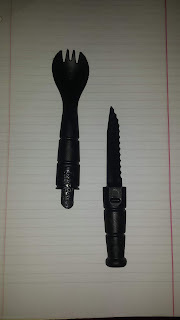 I give a rebuttal (of sorts) to Tim's critique of the Ka-Bar Tactical Spork. Chaplain Tim has the day off to spend time with his family like the rest of us. Regular posting resumes tomorrow. If you're interested in history, The First Thanksgiving: Prepping Lessons from the Pilgrims will be of interest. If you've eaten too much and are regretting your decisions, last year's post on Fasting may provide you with a reason to skip dinner (or at least say no to that second slice of pie). Whatever you do, have a great day filled with fun, good, fellowship and family. Corny or not, this is a good time for reflecting on all the good things that have happened to me and all the good people I have in my life. Some names listed here don't read this blog, but many do. Some have reasons listed, but many don't and that's okay too. I am very thankful to be on Blue Collar Prepping with this group of writers. I'm always excited to read what is put up. I count you as friends. I am extremely thankful for Erin Palette and her very patient work to make my writing readable. Evelyn and D.R. for the couch and mail box. Darryl, Sean and Jonathan for answering questions that clarified much. John and Ella for being such a good fit. He got lucky! Shane, Jenn and Cassie for the dinner invites and for how mad you get when I bring things! Jason Rennie for the free books. Like my To Be Read pile wasn't large enough. Mark for signing my books, for my first Red Shirting, and for writing in such a cool universe. Rick for shipping me an OOP copy of a book AND signing everything! MadMike for OOP books and signing them, as well as the commentary on Facebook and the blog. 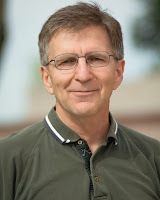 The ILoH Larry Corriea for putting out so many great books and hysterical fisks. The Mata family for all the prayers sent to me. Gihigugma tamo tanan. Janelle and Don. Thanks for the quiet. Susan Lee for calling me 'DB'. Kitty and The Kid, I WILL touch the iPad! Van and all the Saturday group. Being 外人 is fun! I am especially thankful for all the new friends I've made this year, and for all the people who have commented on my writing offering corrections and praise. Thank you. I could go on all night and even then I'd miss someone, so if you aren't here, please know you are memorable to me. I really went through my stores and stripped out a bunch more stuff that wasn't close to outdated to make room for incoming goodies. I still have a good three-day supply in each bucket, but now the duplicated items are gone. I spent $10 extra this week at the grocery store on food to go in the Food Drive barrels. I also wrote a check to the Food Bank for a turkey. 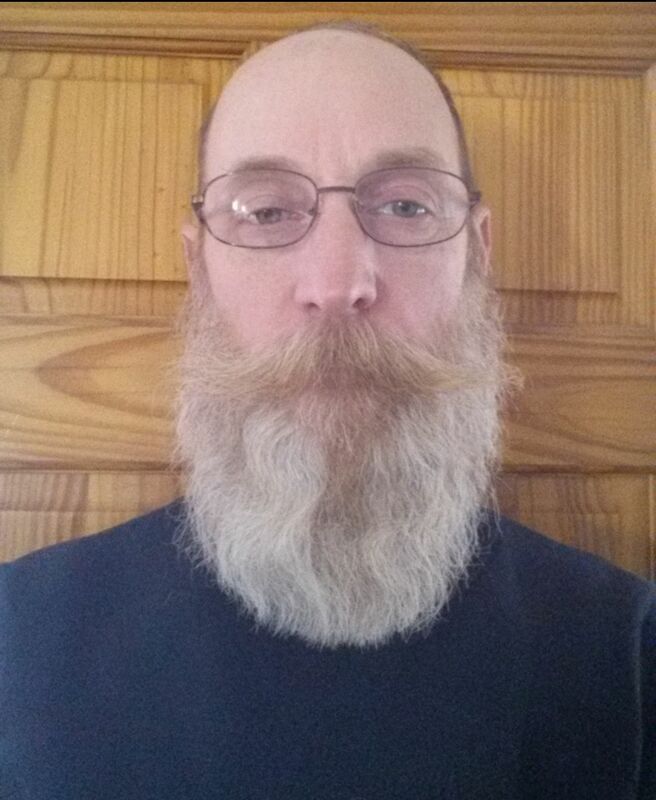 I don't have a picture to show my progress, but I didn't make it to the end of the month for Movember; my beard was just way too itchy to last. Everyone said the third week would be less scratchy, but I couldn't stand it. 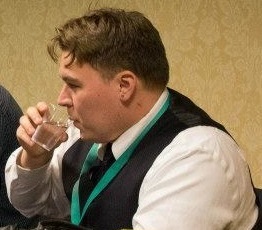 Regardless, $25 dollars that I would have spent on a haircut and shaving went to Prostate Cancer research instead. I hope I am as good a friend back to the people who call me Friend. If not, I will try harder. A donation of $25 to support men's health and Prostate Cancer research. A total of $30 in food and cash to my local Food Bank. Longevity is important in a tool. Good tools last for years, but great tools last for lifetimes. Today I revisit one of my first reviews for this blog: my Gerber MP400 Sport multitool. Do my initial opinions of the tool hold up five years in? Last week I reviewed a rocket stove and gave it a less than stellar review. This week I decided to look into other options, either commercial or home made. Since I have a bunch of stuff sitting around, much of which I would like to dispose of, I decided to look into concrete block rocket stoves. The siren call of bacon and eggs after the fall of civilization appeals to me; marauding bands of Mad Max style raiders can have fun, but I want my breakfast! 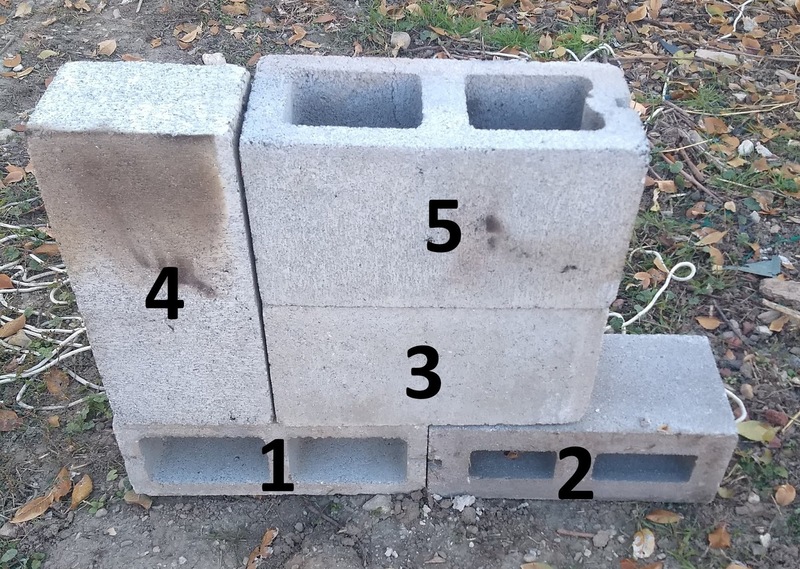 The idea behind concrete block rocket stoves is that you have five hollow concrete (or “cinder”) blocks, called breeze blocks in some places. Four of them will be standard rectangular blocks, with the last one a square block with what looks like serifs on it -- kind of like an “H” with an extra center bar between the two long ones. If you want to use a frying pan (I recommend cast iron for this), you'll also need some sort of pot standoff. I use a couple of rocks on top of the rocket stove, but most people use something nicer like a gas cooktop pot standoff. 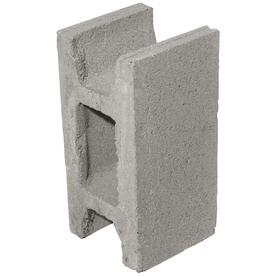 Lay two concrete blocks so that they form a long thin bar, with a continuous top and the holes on the sides. This forms the foundation. It's technically possible to do this without the foundation, but after experimenting, it seems to make a large enough difference to make it worth it. The third block is the differently shaped one. Lay it so that it is dead center on top of the two foundation blocks and aligned with them. The hole in it needs to be aligned so that you can see the seam of the two lower blocks in it. This forms a sort of pyramid with the blocks, and creates the back of the combustion chamber. Lay the fourth block on its end, perpendicular to the foundation. The bottom hole of this block will align with the gap in the nonstandard block. This completes the combustion chamber, and allows you to feed fuel into it in a protected area. This also allows you to place kindling and small amounts of fuel in the top part of that block, giving you a partially covered area if you have to dry out fuel. Be aware that the back of the combustion chamber has a small divot that will fill up with ash as you use it, so you'll need to clean that out between uses. Lay the fifth and final block so that it's directly on top of the third block, holes aligned to form a chimney. The combustion chamber back will be only partially underneath the hole in the block, but don’t worry, it's supposed to look like that. Place kindling in the combustion chamber, roughly half way in. Light it, and place small pieces of wood or other fuel in it. Slowly push the fuel into the back of the combustion chamber as it burns. Grab your kettle, put it on there, and make yourself some hot chocolate. Congratulations! You have a rocket stove. It takes me less than five minutes to heat up a ten inch cast iron frying pan in order to fry eggs. They aren't terribly portable and aren't the best possible design, but they are a fairly nice option for those of us who expect to bug in and don’t want a larger permanent structure. 4/5 as long as you are bugging in, or have the materials handy at your bug out site. 1/5 if you are bugging out. Now that I've done a practice walk home after an EMP attack, it's time to talk about what I learned from it all. Here’s a link to the AK pistol video I mentioned. Cold weather has arrived a bit early this year, so I've had to break open the tubs of warm clothing before Thanksgiving. Most years I can get by working outside in November wearing insulated underwear under my jeans and a few more layers on the top half of my body, but not this year. Snow on the ground before Halloween isn't a good sign around here, we're in for a long winter. I realize that some of you are laughing at me right now, since you live in areas that rarely see snow or temps below 40°F. That's fine; laugh all you want as you're slapping mosquitoes in December. I've lived in a lot of different climates, and know that even in the desert it get cold at night, so I try to plan ahead for cold weather or having to live without heat. The camping trips and other overnight stays in the great outdoors have instilled in me a sense of appreciation for warm clothes. If you ever travel at night in the winter, you should at least have warm clothes in your vehicle bag. There is an old saying about winter clothing: “cotton kills.” It's based on the fact that cotton loses its insulating value if it gets wet. Sweating in cotton long-johns is a good way to learn about hypothermia, so it's best to avoid either sweating or cotton. Most of my insulated underwear is cotton, but I have learned how to adjust my clothing to avoid sweating in it. The whole concept of dressing in layers is designed to allow you to remove clothes as you start to warm up, and it's always better to be a bit chilly than to start sweating in winter. The sweet spot is between shivering and sweating, and it varies from person to person. I'm one of the people with single-digit body fat so I don't have a lot of natural insulation, I have to buy my warmth instead. Silk is a fair insulator, and I do own a few undershirts and socks made of it. Pleasant on the skin, but expensive and very touchy to wash/dry. Silk socks don't work very well in boots because they're too “slick” and tend to slide around my feet as I walk. Since I don't want to deal with the hassles of wearing garters, I avoid silk socks now. Modern fibers like polypropylene (PP) don't absorb moisture and will retain more of their insulating value than cotton when wet, but they aren't as comfortable to wear as a natural fiber. I have PP long-johns, but they're stiff fibers and tend to be more irritating to the skin than natural fibers. Polyester (PE) is one to avoid, since it doesn't “breathe” very well and will trap moisture next to your skin, making you feel clammy and cold. Nylon is a tricky one. There are so many different ways to spin nylon into a yarn that it's hard to know how it's going to treat your feet. Basic nylon dress socks are horrible; they don't breathe worth a darn and will trap moisture inside your footwear. Some of the “fluffier” nylon yarns that I've seen fall between the PE and PP fibers for insulation value. For basic winter socks, I prefer wool. I've had wool socks last for up to four years of daily wear when properly cared for (the Army used to issue only wool socks, and I wish I had a good source for them now). They're expensive and need to be washed with care, but they breathe enough to allow sweat out and will retain their insulating value even when wet. I've inadvertently tested this several times over the years, by having a foot break through a thin layer of ice and ending up knee-deep in water. You extract your foot, pour the water out of your boot, wring out your socks, and put them back on. While not exactly pleasant, a wet wool sock will keep your foot warm. Cotton and cheap plastic socks need to be dried before putting them back on or you'll lose more heat from your feet than if you went without socks. Wool also has the advantage of being a lot easier to dry with unconventional heat sources; plastic fibers are prone to melting before they get dry near a campfire, while wool and cotton will be completely dry before they start to burn. This post came about because I haven't had time to do much laundry lately and I ran out of wool socks, so I dug down to the bottom of my cold-weather tubs and found some “insulated” socks that were received as a gift a few years ago. 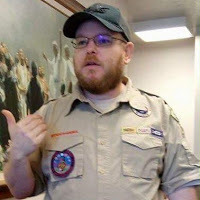 They were cheap and mostly polyester, so while they were abundantly thick and warm for a few hours, by noon I had to change them out because they were wet from the moisture they had trapped inside my boots. The 16 hour days meant that I had to change socks twice during the day and that just meant more laundry to do when I got home. I think those socks are going to be relegated to the rag bin when they come out of the dryer. California is on fire again... or perhaps "still on fire" is a better way to describe what's happening. November 7: Nine dead in Paradise Ca Camp fire. November 9: 29 dead in Camp fire. November 12: Deadliest wildfire in Ca. history. Warning! auto-play video! Turn down your sound. The final report lists 42 confirmed deaths and over 200 missing. I can only talk about the situations here where I am, and this latest fire in Butte County follows the Oroville Dam disaster, so the Sheriff and the local people know how to handle mass evacuations. The Sheriff ordered an evacuation when the fire first reached the edge of the town, and while it took some time to burn into the center of town, people had time to leave. I have close friends who live there and they lost everything, but they're safe. Why? Because they left when told to! They listened to the warnings and left as soon as they could. From what I understand, since basic items were already staged, my friends were able to get many sentimental items out with them. Double and triple check your plan! Verify your designated meet-up spot and have a 2nd or even a 3rd in mind. Know how to get out out of your neighborhood. Have all the routes memorized! Have your BOBs ready, along with what is really important close by. The bloggers who were here in 2015 picked our favorite or essential items in our own personal BOB or GHB and put them in a blog post. We've added several more people since then, and everyone has written about their own setup. 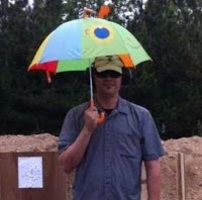 The Discerning Shootist has several posts about gear, starting here with a definition of what all those initials mean. If you want to spend time looking at what else is available to read, a look up "BOB" in the Blogger search box (upper left corner) on the Blue Collar Prepping page. There are 44 articles just with that term, and "Bug Out Bag" shows 74 and "GHB" lists 115! That is only the posts with those terms in the title or tags. Everyone has written about their gear, and I feel it is important to read what is different in each person's bag. Not only do you have different climates, there are enough differences in climates to make "What's In the Bag?" a fun rabbit hole! I highly recommend a search by author name on our blog. You'll see we have many things in common, and some that might make the proverbial light bulb go off and trigger an AHA! moment. There are few heroes in a disaster, most people are better off to get out with their group. Have A Plan. Hell, have 2 or 3! Just make sure your group is on the same page! When the authorities say it's time to leave, leave. Right then. Nothing was purchased this week, but if this latest round of fires starts those extra dollars burning a hole in your pocket (heh! ), see below on how to keep us here! I got a call from a friend the other day because the outlets in his shop had stopped working and he had no idea why. When I got to his shop, my first check was his circuit breakers. Nothing was tripped, but when I put my tester on his outlets, sure enough, he had no power. A little poking around showed the problem to be a tripped GFCI outlet. One quick reset later, his power was restored and he was back to work. A GFCI is a Ground Fault Circuit Interrupter. It is a safety device designed to shut off electrical power in the event of a ground fault, which is an electrical failure or fault where the energized (or "hot") wire comes into contact with something that provides a path back to the earth. This is a dangerous situation because that path back to the earth very frequently includes a person, and that person will receive a nasty and potentially lethal shock. To prevent this, the GFCI detects minuscule differences in current between the hot and neutral legs of a circuit and cuts power before a damaging shock can be delivered. Water is the main contributor to electrical ground faults involving humans. The current US National Electrical Code requires GFCI protection for outlets outdoors, in garages, kitchens, bathrooms, and basically any place where there is a chance of water splashing an outlet. This requirement has reduced death by electrical shock by an estimated 50% since it was introduced in the 1970s. There are two kinds of GFCI devices used in the USA. The newer style is built into a circuit breaker. It makes protecting an entire circuit simple and certain. It requires a bit more work to install, but assures protection for every outlet on the circuit. It is also the more expensive option. The more common GFCI protection is built into an outlet. This device can be wired to protect all of the outlets down the circuit from it, so that only one outlet is required to protect all of a circuit. It's a bit more complex to set up, but is the more budget-friendly option. GFCI devices are easily identified. They have buttons on the face that are marked "Test" and "Reset." The Test button is used to manually trip the protection, and these devices should be tested a few times a year. The Reset button resets the protection and restores power to the protected outlets on the circuit. This button is also used to restore power in case an actual ground fault triggers the protection. Installing GFCI protecting devices is a bit more involved than a simple outlet swap; it involves changing a breaker or doing a fair bit of legwork to identify which outlet in a circuit needs replaced in order to ensure correct protection. If you're the slightest bit unsure of what you're doing, please contact a qualified electrician to handle this task. Now you know what to check to keep yourself from being in the dark if you lose power to certain outlets but the breaker or fuse looks normal. There was this thing called a “rocket stove” a few years back. I originally heard about them not from preppers or backpackers, but from off grid-living and permaculture forums. A bunch of people were getting really excited about them, and how efficient they were. It soon became apparent that I would have to test one out. I figured that I'd get to it as soon as I could, and didn’t put a lot of effort into finding and testing one until one day when my neighbor actually gave me one for free. He had been given an EcoZoom Dura for Christmas by both his father and his father-in-law, so he gave me one of his rocket stoves because he knew that I was interested in that kind of thing. ... the only way that I ever got the Dura to stay lit was with liberal application of liquid fuel (lighter fluid, rubbing alcohol, etc. ), or by blowing on it in order to provide oxygen to the fuel. I made sure my fuel was dry. I double and triple checked the instructions. I verified that I could light a fire in a fire pit – one match only – and that I had no problems being able to do that fairly consistently, even in somewhat adverse conditions. I assumed that this was just a problem with me, that I simply didn't understand how to operate a rocket stove or something along those lines, so I made sure it wasn’t something I was doing wrong by having a couple friends give it a try, and we all had the same lack of success: once we had the fire going, it would only stay lit for a short period before going out. Something was obviously fairly wrong. As it turns out, my neighbor had the same problem and assumed that after giving me his extra stove that I would share the secret of Prometheus with him, and that he too would be able to show off by frying eggs in his backyard during a perfectly normal day. I've tried a couple of different stove designs since then, and found that they tend to be not only lighter, but also easier to use, and most importantly they stay lit and you can actually burn things with them. I've been told (though I cannot verify) that the current generation of EcoZoom rocket stoves has solved that issue. But until I can try it for myself, I have to give the EcoZoom Dura 1 out of 5 stars. I had another birthday last month, and one of my friends got me a pair of sporks for a present. 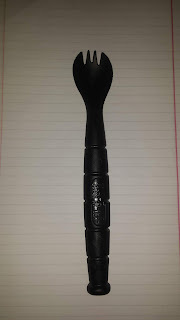 I like using sporks when camping, and I've written about my titanium sporks in the past ( I still have one in my GHB), but these were a little different. This is the Ka-Bar 9909 Spork/knife. Mine were a gift so I'm not sure what they cost, but I found them on Amazon for less than $10 apiece. The handle separates to expose a serrated plastic knife, while the traditional combination spoon/fork end provides a way to eat without getting your fingers in your food. I tossed one into my lunch box and took it to work for a week to give it an initial test and here are the pros and cons that I found. Made of food-safe plastic. I'm still trying to track down information on the specific plastic (Grilamid FWA LV-50H ), but it's a fiberglass filled plastic designed for water and food applications. Lightweight but still fairly sturdy. Not quite as light as my titanium sporks, but still lighter than carrying a set of silverware. Long handled. The long handle makes stirring hot food more convenient and makes it easy to get the last few bites out of the bottom of a pouch of food. Rounded edges don't get caught on things. Handy for not poking holes in plastic bags and backpacks. Handle is properly shaped and solid enough to act as a kubotan. Since they were made by Ka-Bar, it doesn't surprise me that they can be used as weapons. Sharp mold lines. Sharp enough to slice into my lip when I first used it. 5 minutes with a piece of sand paper took most of the sharp lines off, but check before you use it; cut lips hurt and bleed all out of proportion to the size of the injury. They heal quickly, but are sensitive to salt and acids in your food until they seal up. Combo spoon/fork. Compromise isn't always a good thing. By putting fork tines on the end of a spoon, you make an implement that is less effective than either a fork or a spoon. Plastic knife. The serrated knife hidden in the handle is almost worthless. Good idea, but poor execution: it's not sharp enough to cut through the plastic baggie the spork was shipped in (I tried both the tip and the edge of the knife) without a lot of force, and being plastic it isn't really something that you can make sharp. This is a gimmick that will do nothing but make the TSA confiscate your eating utensil if you try to fly with it in carry-on. Drain holes located just above the spoon. They're small and I didn't notice them until after I had stirred my hot chocolate, which then proceeded to dribble out of the hollow handle and make the table sticky. I can see why they are needed for the molding process, but they make a great place for food to get into that is difficult to clean. I usually try to avoid getting mold and bacteria in my food, these holes make that harder to accomplish. While it will work as a way to get food from a container to your mouth, the poor construction and design leave it seriously outclassed by even the disposable sporks you can get at KFC. 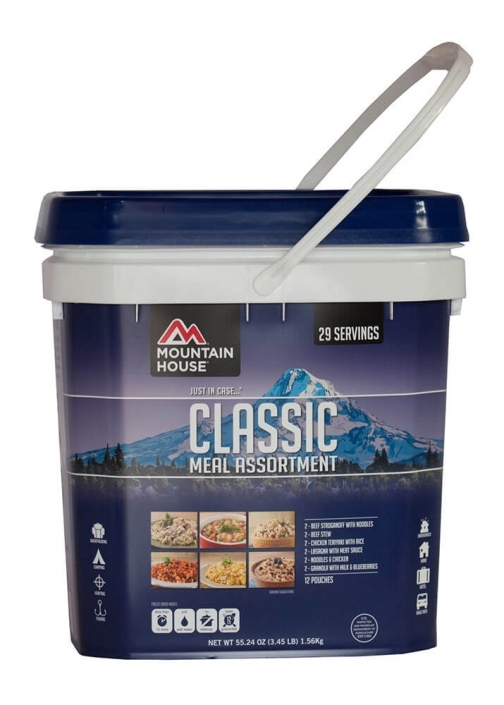 With some discipline in my budget (not my strongest suit) I've been able to buy my first bucket of freeze-dried, long-term storage food! This has been a struggle, right from the start of my posts at Blue Collar Prepping. I'm pretty sure I've written about food and how to store it more than any other topic, and I'm positive whatever is in second place is way behind. Even with saving more, I still have to be extremely careful with how I look to spend money. What did I buy? I'm glad you asked! I'm going with what I know to be a good brand and with a good assortment of food I know and like. This is just a start in the change-out of regular grocery items in my pantry and the Buckets of Holding that I've been using to store my disaster prepping food. I'll still be using the original buckets for quite a while, since the Classic Assortment is not enough to fill all five buckets at one time; in fact, I'll be leaving the Mountain House pail as-is for the foreseeable future, since it has a good start on meals and there isn't any reason to try to squeeze a water filter in there. I have too many standard food items and other supplies (like a filter, can opener and bulky foods) that are perfectly fine right now, and I see no need to rush into swapping them out, even if I could afford it (which I can't). The Master Chief is still going to buy his own stores and I will buy mine, but both of us are looking to complement each other and duplicate as little as possible. It's almost time for me to go through my stored goods and weed out the short 'Sell By' dated foods. It's also the time where I add one or two extra things to my regular grocery list and put them into the Food Bank collection barrels I see in the local stores. The short dated things I drop off myself and, depending on where the donation station is, I may buy a Turkey Voucher instead of a frozen one to drop off. The economy is improving here, but the need for food is still the same as last year. Have a plan and be honest with it and yourself. I do know how to save, I'm just not very good at it. Finding what is important, really important, made the difference for me. 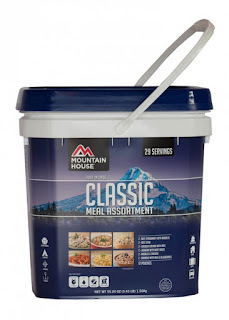 One Mountain House Classic Meal Assortment: $75.71 with Prime from Amazon. I've already shown you how to replace a light switch. The other electrical device that commonly needs replacement is the basic electrical wall outlet. Keep your house in good repair. Protein Bars? or Candy Bars? The s**t has hit the fan. You have a bug out bag, you got out in time, and you're on your way to your bug out location. 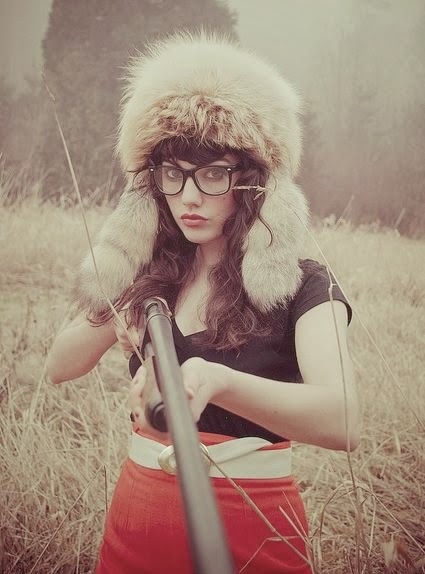 You've met up with one of the other people who bought into the bug out location and are hiking together. You decide to stop and rest on the side of the mountain you are hiking up, enjoying the crisp spring air mixed with the smell of burning cites, and you sit down to grab a protein bar from your pack. Your friend pulls out yellowed plastic-looking puck of something and bites into it with the joyful expression of someone who is eating what tastes like sawdust mixed with lard. In a lot of ways, this is a sequel article to “The Argument For Chocolate”. I started looking into a post-workout snack, and as a control for the experiment I started looking at Snickers Bars to oppose my preferred brand of protein bar. And then I started to look at most protein bars. It turns out that for a 68 gram / 2.4 Clif Bar (I went for the oatmeal raisin walnut, since that looked like the healthiest flavor) , there are 10 grams of protein (decent), 0.5 grams of saturated fat (not great), and 43 grams of carbohydrates. Protein is great if you're building muscle, but if you're just hiking around, moderate amounts of it are fine. 10 grams is a lot when you consider that, for people who aren't trying to build muscle or who have other medical problems, 1 gram of protein per 10 pounds of body weight is the RDA. So two Clif Bars are actually more protein than is needed for the majority of the population's RDA. Well, at least Clif Bars must be a better value than candy, right? Clif Bars are much more expensive, about $1.50 each if you buy a case of 12. Conversely, peanut M&Ms (46 grams) are about a third of that cost for a box of 48. Peanut M&Ms have 4 grams of protein, 5 grams of saturated fat and 28 grams of carbs. A box of 48 Snickers Bars (52 grams) cost about the same as the peanut M&Ms. Snickers Bars have 4 grams of Protein, 12 grams of saturated fat, and 33 grams of carbs. Heck, even Reeses' Peanut Butter Cups cost only a little bit more than that, and their nutrition values are similar except with more protein. So unless your only source of protein is these trail snacks, you're probably getting enough to satisfy your RDA, and both of the candy options have better sustained energy (saturated fat) and lower carbohydrate levels (but high enough to still give an instant boost). Given that M&M candies originated as a way to keep chocolate from spoiling in the field, they are now my "protein bar" of choice. In conclusion, unless you cannot eat peanuts I unreservedly recommend getting some sort of chocolate with peanuts instead of a Clif Bar for your bug out bag. It is superior in every way that I can figure out. Even if you're hitting the gym, eat a couple more eggs in the morning instead of a Clif Bar and you come out ahead, both in cost and nutrition. Dead Reckoning? or Lost in the Woods? You've begun your trek home.. but what's the best route to take? Part four in a series on the gear we carry and how we use it. Many preppers have rifles, some for hunting and others for defense, and one of the most popular hunting rifles ever made was the Remington Model 700 (M700). Affordable, accurate enough for hunting, and available in a wide variety of calibers, M700s are still found in a lot of gun cabinets and safes. The military used them as a base for building their M24 and M40 sniper rifles, and there are several companies making accessories and after-market parts for them. Remington has been making these rifles since the early 1960's and there are a lot of them still out there being used to harvest game every hunting season. I see them at every gun show I go to, and my state doesn't allow rifles for deer hunting. Unfortunately, the M700 series has a flaw: The trigger mechanism isn't as secure as it should be, meaning that the rifle can fire without any motion of the trigger. This has been fought over in many gun blogs, and a lot of very knowledgeable people have agreed to disagree on the severity of the problem. I don't personally own one, but I have fired several over the years. I have never seen one malfunction in a manner that would make it unsafe, but I know that there are probably some out there that can. Nothing made by the hands of man is perfect, which is why we have the Rules of Safe Gun Handling. The * marks the models that Remington has declared too old to be repaired, so they are not going to work on them. There is a website set up to start the process of getting a covered rifle repaired, or you can call a toll-free number (1-800-876-5940). If you have one or more of the rifles that is covered by the settlement and is one of the models that Remington is willing to replace the trigger mechanism on, you have a few decisions to make. If the rifle is a family heirloom, it is likely that there is no paper trail tying it directly to you right now. The same goes for any rifle that you may have purchased from a friend or neighbor without going through a FFL. As soon as you ship it off for repair, it will be logged into and out of records that will eventually end up in the hands of the Federal government. * I know there are some draconian States that require gun owners register their firearms, and if you haven't done so, the act of sending one in for repair may trigger local LEOs into paying you a visit to look for other “illegal” firearms. If there is already a paper trail on the rifle, you need to get a good idea from Remington about how long they are going to have it for repair. I have had to ship a pistol back to Ruger for a recall in the past, it took them over a month to replace one small part and ship it back to me. 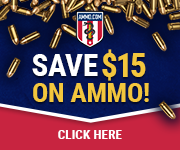 Are you prepared to be without that rifle for a month or two? Do you have something else that can take its place until you get it back? How well do you know your rifle? Have you ever taken it apart to see how everything works? If so, you may want to look into replacing the trigger group by yourself. Timney make a great line of replacement trigger groups for a variety of firearms, and the Model 700 is one that they sell through various suppliers. While not exactly cheap, you'll end up with a safer and better trigger by going this route. If you're not comfortable taking on this level of tinkering, find a gunsmith near you that can replace it for you while you wait. As long as he doesn't hold your rifle overnight, he doesn't have to log it into his FFL records. Do your own research on the trigger problems that have been reported. With 7.5 million rifles involved, a 1% failure rate would mean 75,000 misfires. Even scattered over the 60 years of production, that would still mean over 1,000 per year, and I haven't seen anywhere near that level of misfires reported. I'm not sure where your comfort level is, but 99% is a lot better than some of the stupid risks I've taken. Personally, I'd either replace trigger myself or just pay extra attention to the safety rules if I owned one of these rifles and avoid the hassle of getting it fixed by the factory. *As you may have guessed, I'm not a huge fan of government paperwork. While an FFL holder keeps records of every firearm that passes through his shop, as soon as he dies or goes out of business those records get sent to the BATF for “storage”. Given that Remington has already filed for bankruptcy once, its future doesn't look very good. The thoughts of what a future government could do with those records don't make me happy, so I avoid the paperwork wherever possible.